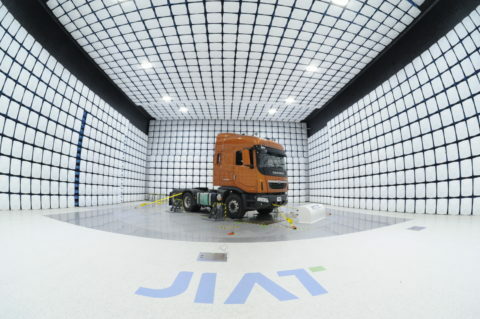 Established in 2003, JIAT is a Governmental test organisation for vehicles and vehicle systems and components which assists research and development by small and medium-sized enterprises (SMEs) who do not have a test facility of their own. The institute also provides consulting, research and training services in a large facility of over 33,000㎡. It is the biggest test house in Korea, except for those operated exclusively by automotive manufacturers such as the Hyundai Motor Co.
MPE’s partner in Korea, Eretec Inc. provided an entire, new, screened room test chamber. 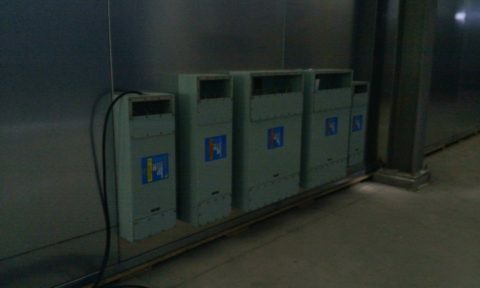 The turnkey solution supplied and installed by Eretec included EMC shielding, EMC doors, EMC filters, and all internal equipment systems including pyramidal absorbers, turntable and dynamometer. 12 MPE powerline filters were specified and installed comprising five different models from MPE’s catalogue range, rated at 16A, 32A, 63A and 100A.